Looking for change? 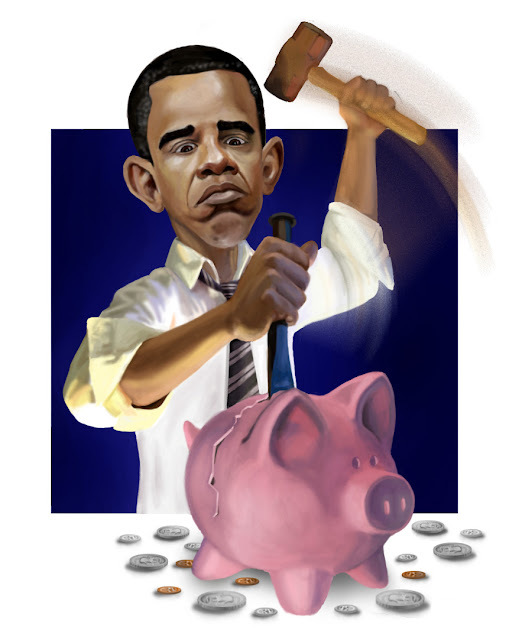 This piece is Obama getting his change from a piggy bank of taxpayer money. Agree with his policies or not, this country has a massive debt problem coupled with ridiculous budget deficits. Wonder where your money goes? Well hopefully this clues you in a little.